For the first time in two decades, the Disneyland Resort is getting a new hotel. Set to open in 2021, this hotel will transform the west end of the Downtown Disney District and add new gateway to the Disneyland Resort. This Four Diamond hotel will house 700 rooms. 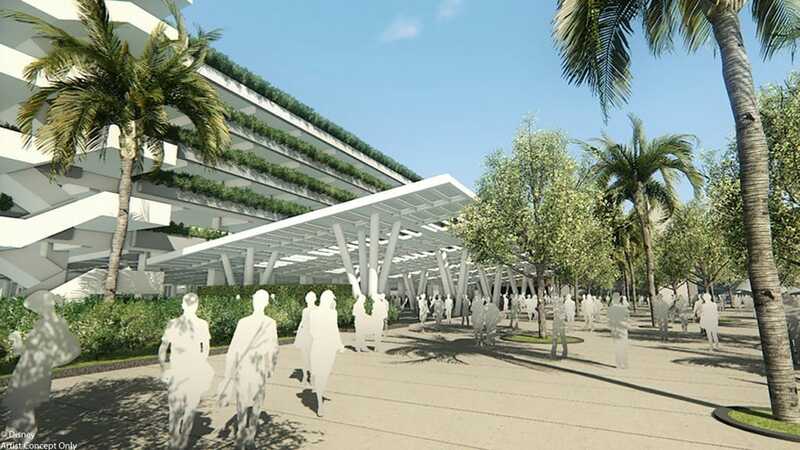 The hotel will also have its own dedicated platform inside the hotel for the Disneyland Monorail. From here guests can directly travel to Disneyland Park. The west side of Downtown Disney will see many changes. Several restaurants and shops will be closed to make way for the new structure. Some of them will return in the ground level of the new hotel. 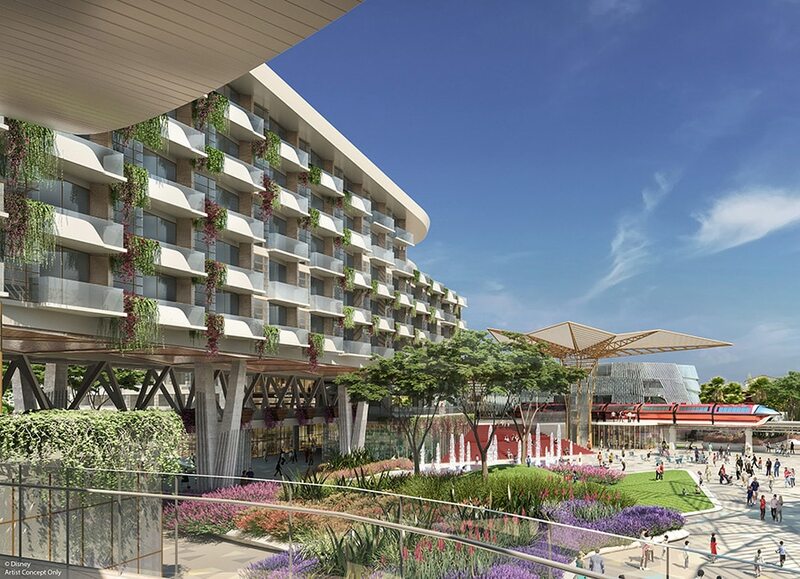 The new hotel also connects all four Hotels of the Disneyland Resort through gardens and landscaped walkways, transforming the gateway on the west side. Construction of this new hotel will start summer 2018, with a grand opening planned for 2021. Along with the above mentioned hotel expansion, the Disneyland Resort will also be seeing an upgrade, improvement and addition to parking and transportation. A new parking structure will be built on the current Pinocchio surface parking lot next to Mickey & Friends. This new 6,500-space structure is designed to dramatically improve parking and traffic flow throughout the resort. It is expected to significantly speed up guest arrival by providing a 60 percent increase in the number of access lanes and adding additional parking capacity on the west side of the resort.